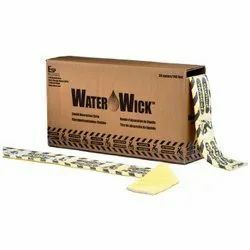 Prominent & Leading Manufacturer from Pune, we offer chemical absorbent pads, absorbent dispenser, battery acid spill kit, bio wick spill kit, clip top spill kits and mercury spill kit. The pads are made from a single layer of meltblown which is sonically bonded together. 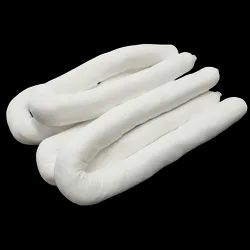 The sonic bonding points makes the pad less prone to stray fibres becoming detached and also gives the pad a very even structure which contributes to the good absorbency rate. 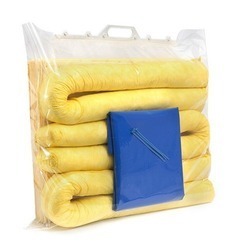 The yellow colour identifies these pads as suitable for emergency use. Ideal for a controlled dispensing method of loose absorbent material and for reducing waste. 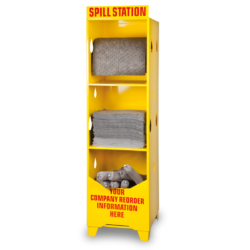 This spill kit is used to contain Battery Acid Spills, which when occured are extremeely harmful to the workers and the environment. 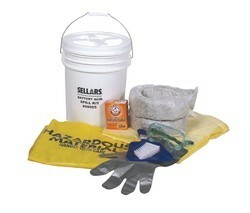 The spill kits are used to effectively contain mercury spills. 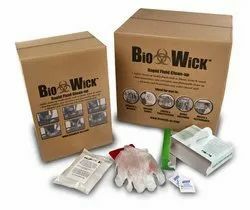 These kits are portable, compact and easy to use. Most socks are used around equipment in indoor environments. 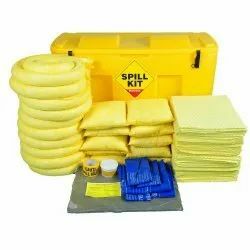 Spill kits usually contain a number of these too. They can present a trip hazard its worth considering our Multiwick and low profile socks. We offer both clipped and sewn end option. 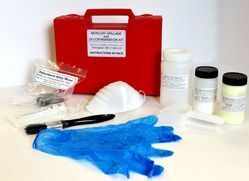 Optimal sized spill kits in a spun-bond light weight material bag, featuring a zip fastening and a clear plastic front. They are very compact and will fit neatly behind a drivers seat or in a narrow space. · Available in three sizes; 120 litre dash bin, 240 litre dash bin, 360 litre dash bin, Durable and manoeuvrable containers. These are surface coverings which come in a variety of sizes and are very useful for a number of applications. Granular Absorbents is a real stand out product with excellent performance attributes. It is made from the highest quality expanded Perlite, which results in it out-performing all other granules that we have seen by a comfortable margin. Only a demonstration reveals how it removes the very last bit of oil residue from the floor. 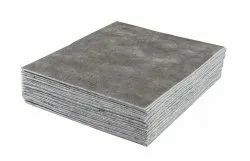 Although it is more expensive when compared directly to clay, it can be cheaper because less is used to clean up a spill. 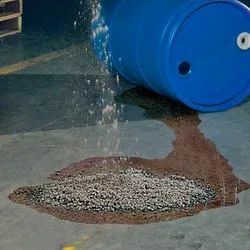 Water Wick Absorbent is a super absorbent strip with a host of features that make it a superb all-round performer when it comes to absorbing aqueous spills. With SpillLockTM technology, any water-based spill is quickly turned into a gel that cannot leak out. The strip is also profiled with a wide contact area to ensure quicker absorption times. 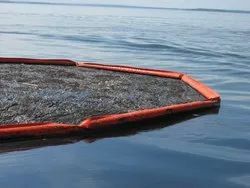 Water Wick is 30m long by 13cm wide and perforated every 61cm. 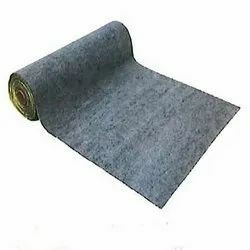 High visibility black and yellow spunbond covers over a recycled synthetic fibre core make it both sustainable and safer due to the reduced trip hazard. This product is particularly suited to use in refrigeration areas, or areas where condensation might pool on a tiled surface. Use this product to contain aqueous based spills. It is designed for ease of use in refrigeration areas, floor care, HVAC, cleaning professionals, etc. 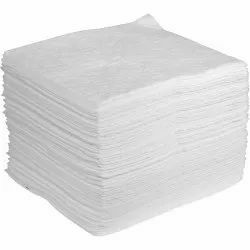 Multi Wick Absorbent Pad truly is an excellent absorbent because it can be made into a number of formats just by specifying one product. Each box contains 16m of fibre absorbent core based on our synthetic recycled sorbent technology which features a durable spunbond top layer added to the synthetic recycled fibre core, the bottom layer is low slip. 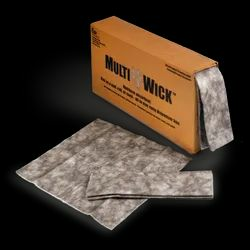 Multi Wick is adapted for each task by simply breaking the point welds and unfolding it to a full size pad or spilt roll. 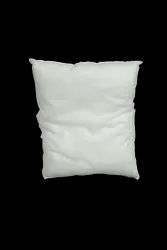 Made from 85% recycled material, it is a very flexible all round sustainable absorbent solution. 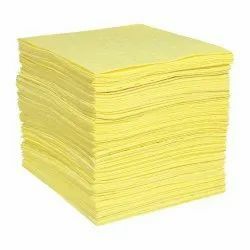 These are used to absorb leaks that are too large for pads. 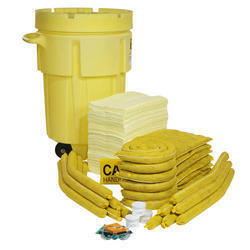 They are more frequently used in spill kits. Oil Booms in two diameters, 20cm and 13cm. The larger option is used more in open water and can be heavy when they contain absorbed substances. Booms usually absorb a quantity of water along with the oil making them even heavier. These are the most popular formats and come in a variety of sizes and lengths. They are easy to use and very handy.